Additional Coding & Robotics camps available for ages 10-17. Click here for more information. Do you ever wonder how a football got its unique shape? Have you been curious about why a golf ball has dimples? Learn the answers to these questions and more in our sports engineering camp this summer! Each day will focus on a different sport and have related hands-on design challenges that utilize our maker technology and collects real-time data. Engineer a football helmet that reduces acceleration upon impact. Design an aerodynamic baseball for all types of pitches. Analyze the performance of your own 3D printed hockey puck. Explore how energy transfer affects the motion of various types of athletic balls and shoes. Whether you are an engineer, who is a sports fan or an athlete who wishes the equipment was better, this camp is for YOU! 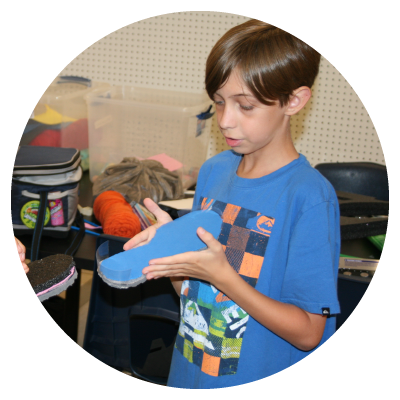 Activities: Engineer a helmet to prevent concussions, discover how force and momentum are related to sports, design and build a tennis racket, engineer shoes to help you run faster, and more. Highlight: Take a field trip to a local manufacturing facility to see how professional soccer goals are made. Discover how engineers help all sports and athletes improve their performance. Spend a week with aerospace engineering camp and experience firsthand the principles of flight as you learn to “fly” in a vertical wind tunnel on our field trip to Paraclete-XP. Use the understanding you gain from your body flight to improve the lift and thrust of the planes you design. Learn how to minimize drag and introduce elements of flight control into your designs. Test your wing design in a wind tunnel that you engineer. Learn about the Grand Challenges of Engineering and engineer a tool of scientific discovery to learn about how to build a rocket to explore Mars. Activities: Engineer a glider, design an airplane wing and test in our wind tunnel, launch bottle rockets, and more. Highlight: Take a field trip to Paraclete-XP in Fayetteville to learn about body flight and fly in their indoor vertical wind tunnel. Gear up for a powerful week of engineering fun as you gain a mechanical advantage this summer. Join us and learn how mechanical engineers use the principles of force and motion to design, build, and operate machines with moving parts. Investigate the impacts of friction on design performance with sensors. Use our 3D printers, laser cutter, and maker technology to create your very own kinetic model design. Compare the advantages of hydraulics and pneumatics in a lifting project. Engineer a thermodynamic device to help prevent all three forms of heat transfer. Activities: Create a solar-powered car, build and program a robotic arm, draft and print your 3D designs. Highlight: Meet local Mechanical Engineers. Tour a local machining shop with large scale mechanical technologies. 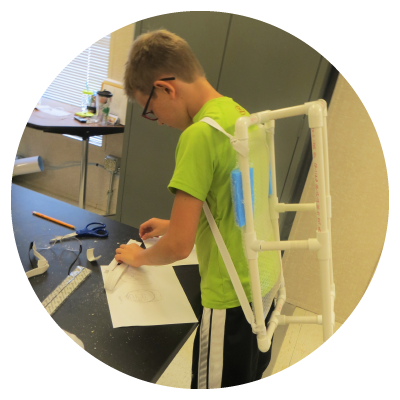 Use the engineering design process to create a Rube Goldberg machine to complete a task. Join us this summer as we explore the main areas of civil engineering: structural, coastal, transportation, and more! Research how civil engineers established the design of our modern society as you create and test bridges, trebuchets, and towers. Hear from local Professional Civil Engineers about design challenges specific to the Wilmington area. Use energy analysis software to design an energy efficient home. Develop drafting techniques as you create a 3D printed model of a tiny house. By the end of the week, you will have the skills to design a sustainable university and present your final layouts using 3D modeling software. 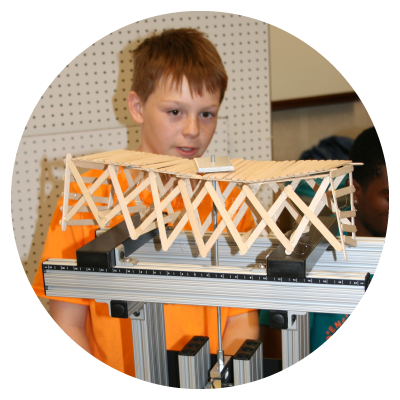 Activities: Use Vernier Testing Equipment to test your maximum bridge load, build a trebuchet, and engineer a sustainable university based on green engineering principles. Highlight: Meet local Professional Civil Engineers. Collect geodesic measurements using survey equipment and techniques. Take a field trip to the Port to see "big" engineering in action. Interested in Coding & Robotics? 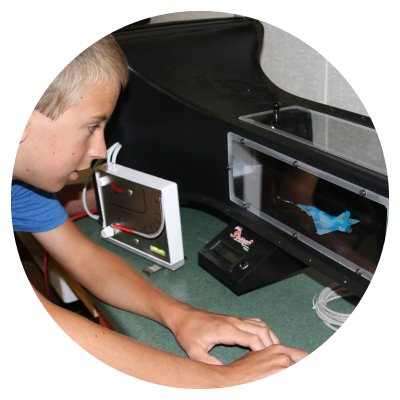 Click here to learn more about our Coding & Robotics programs for ages 10-17!